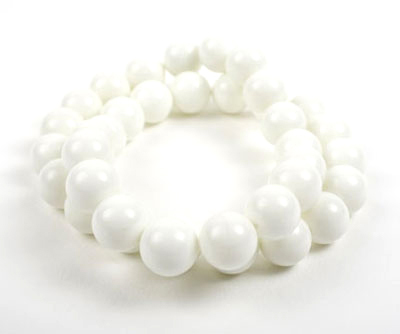 White Jade double wrap bracelet. This bracelet is elasticated and is a double wrap bracelet - wrap around your wrist twice and made to fit all. Can be worn alone or with the matching necklace. Elasticated to fit most wrists.